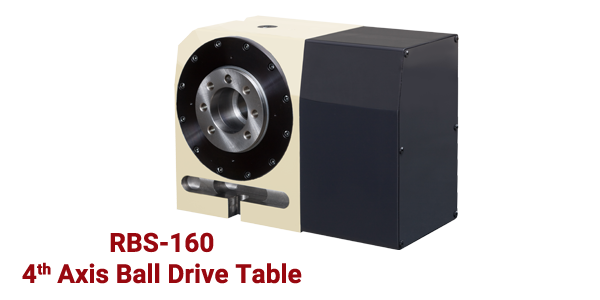 A new line of high accuracy, high rigidity, energy saving and zero maintenance rotary tables from Tsudakoma. 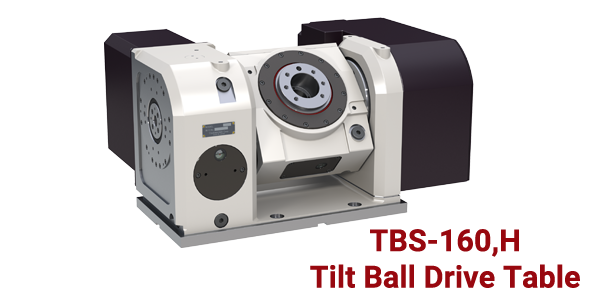 The RBS Series rotary tables are built using the new ball drive system featuring advantages like zero backlash, improved cycle times, energy conservation and a lifetime adjustment-free transmission system. During table rotation 4 to 5 balls remain in constant contact with the cam shaft that creates a rigid configuration especially in no clamping operation. 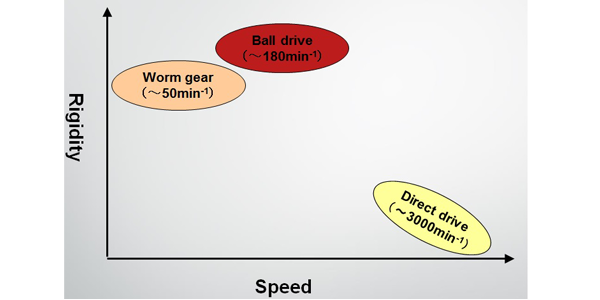 Torque transfer efficiency is higher in a ball rolling mechanism as compared to the sliding mechanism of a worm gear. Generates 40% more drive torque. 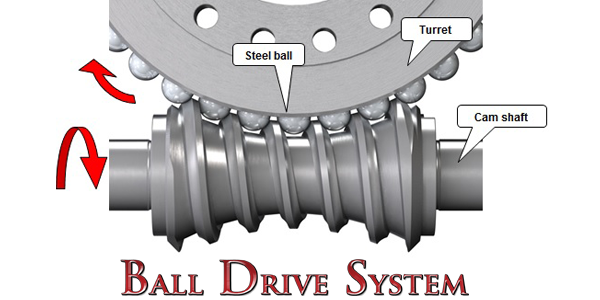 Lifetime adjustment-free BALL DRIVE SYSTEM. High accuracy machining with no backlash or reversal error. Enables shortening indexing and cycle times. Index speeds up to 138.9 RPM. Increased accuracy and repeatability specifications. Every revolution of the cam shaft produces highly precise results.